Dr. Jervis Yau is an orthopedic surgeon with sub-specialty fellowship training in sports medicine practicing at Ryu Hurvitz Orthopedic Clinic. 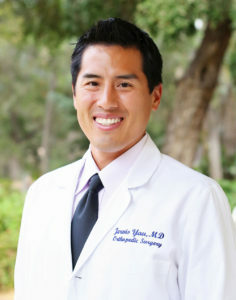 Serving the greater Santa Barbara, California communities, Dr. Yau has experience caring for athletes and active individuals of all ages and focuses on restoring maximal function through both non-operative and operative techniques. Dr. Yau has particular interest in joint preservation and cartilage restoration techniques of the knee, shoulder, hip, elbow and ankle, as well as orthopedic trauma and fracture care. Dr. Yau strives to treat each and every patient with compassion and respect, no matter how complex the sports injury. He implements a tailored approach for all of his patients, from professional athletes to weekend warriors, so they can remain active and pain free. Dr. Yau is available to the greater Santa Barbara, Goleta, Santa Maria and Ventura, California communities to help patients understand their injury and help them reach a treatment plan that is best for their specific needs. 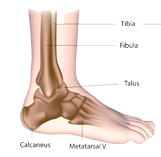 Please browse through the information on our site to learn how Santa Barbara, California orthopedic surgeon and sports medicine specialist Dr. Jervis Yau can help solve your orthopedic and sports medicine injuries and conditions.